It deserves to die... but still kinda sad. BotanicusRex wrote: It deserves to die... but still kinda sad. Curious as why. Due to poor management? Absolutely. Lack of and flawed foresight. 1. "This is what always has worked for us." 2. "Wal-Mart can't sell that cheap and stay in business." 3. "People are skeptical of those dot-com retailers, they won't last." One more week to spend those Sears gift cards in the back of the drawer. Amazon and Walmart will fall too eventually. No one stays on top and cutting edge indefinitely. Sears is planning to announce its decision on Chairman Eddie Lampert's bid to save the company Tuesday morning, people familiar with situation tell CNBC. Sears believes Lampert's bid is short, and the two parties have been unable to come to a resolution. 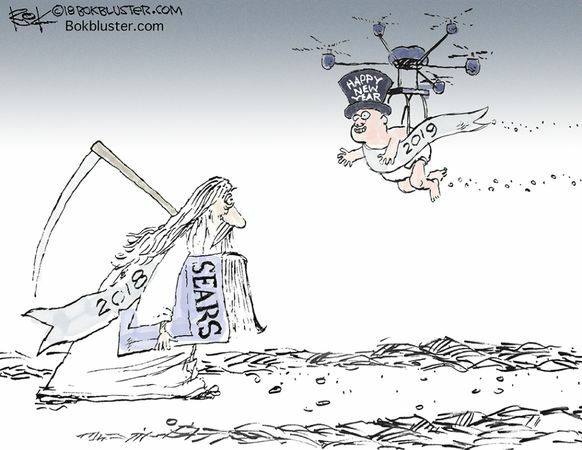 Without a fix, Sears will liquidate. Judge gives Lampert more time. Maybe it's delaying the inevitable, but a ray of hope for 50,000 employees. Sears Holdings unsecured creditors will head to bankruptcy court in White Plains, New York on Monday, Feb. 4 to protest Eddie Lampert's $5.2 billion bid to save the company, which owns both Sears department stores and Kmart. The offer is the only one that would keep Sears alive, but its unsecured creditors allege misdealing by Lampert under his tenure as chairman and CEO. Judge Robert Drain will hear the objections and rebuttals, and make an ultimate ruling regarding the company's future. A federal bankruptcy court judge approved the sale of Sears Holdings to billionaire Eddie Lampert. The $5.2 billion deal is expected to save 425 stores and roughly 45,000 jobs. Judge Robert Drain overheard a litany of concerns over a three-day hearing from Sears' unsecured creditors, who pointed to potential flaws in ESL's business plan and its previous failures running the retail giant, in their arguments against the deal. I thought the radio news said the Fed was bailing Sears out? J.C. Penney says it will close just 18 department stores, in addition to nine home and furniture shops, in 2019. Analysts say there could be more on the horizon. Penney Treasurer Trent Kruse says: "I think that's a fair read."